Brumberger Camera Incorporated was a Brooklyn, NY, based photographic equipment retailer, distributor and importer dating from the 1950's. Brumberger sold movie, darkroom and archiving equipment, and accessories such as stereo viewers. Brumberger imported photographic equipment from both Europe and Japan, and relabeled equipment to sell under the company's brand name. 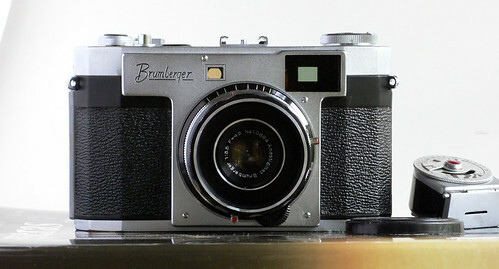 Brumberger's name appears on two similar-looking 1950s rangefinder cameras. One is based on the Neoca 2S; and one seems to be based on the Royal 35P by the Royal Camera company. This page was last edited on 9 November 2013, at 01:05.